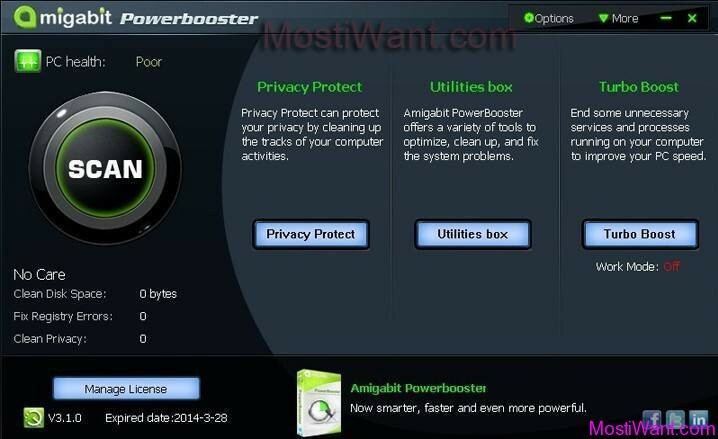 Amigabit PowerBooster Pro offers a complete solution to speed up, clean up, fix and power up your Windows computer in minutes. 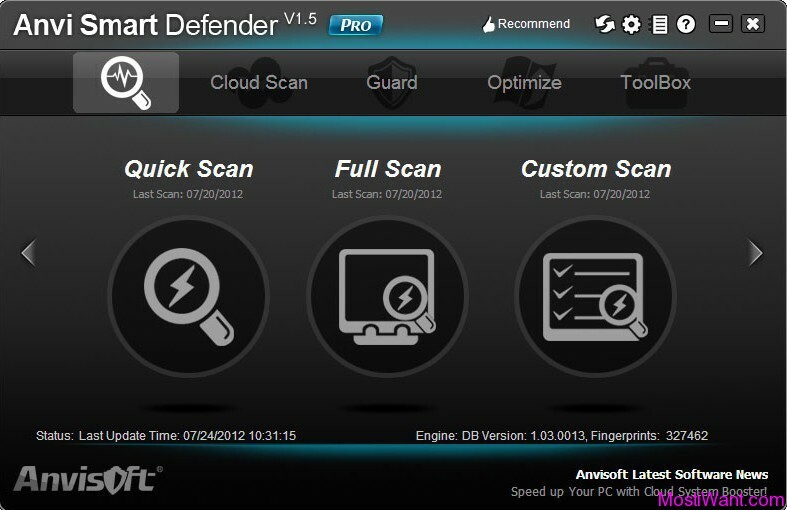 The program scan deep into every corner of your PC searching for potential issues, finding issues quickly, and display the results in a simple, clean way. With it, you can scan, analyze and optimize your computer, find out and remove unnecessary, invalid or broken files cluttering your hard drive, defrag and clean your registry to fix and prevent system errors, reduce Windows startup time, protect your personal data from Internet thieves, and much more. It’s a bit like having a doctor and cleaner permanently on hand. Amigabit PowerBooster Pro is extremely simple to use. 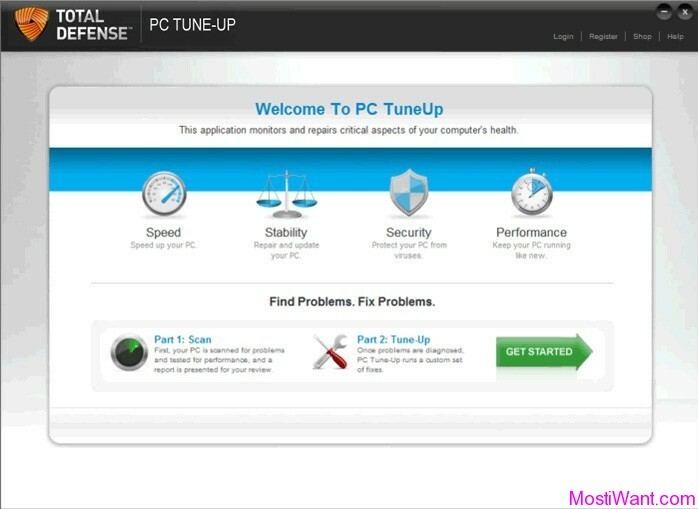 The main window is neatly arranged and consists of 4 parts including Scan (360 Care), Privacy Protect, Utilities box, and Turbo Boost. Click on the big “Scan” button, you will enter the 360 Care window. 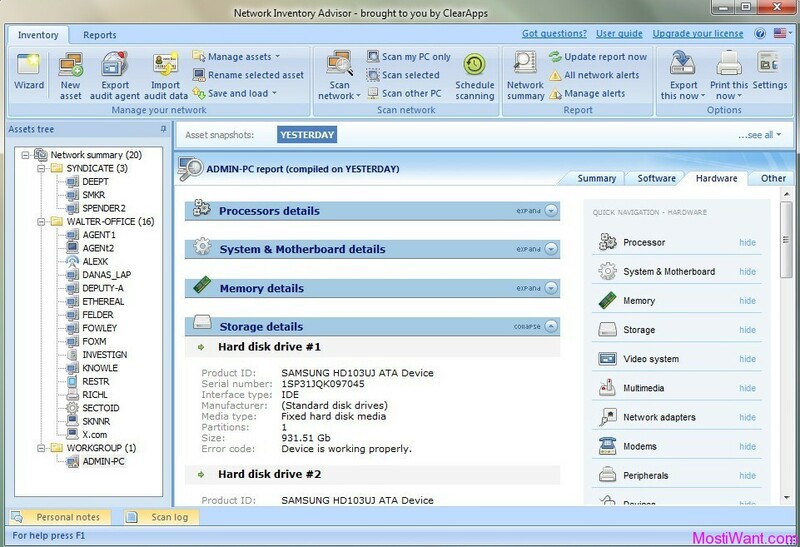 Meanwhile, Amigabit PowerBooster will automatically start to scan on the main areas and items of your computer, find out problems and display details for results, clean and fix the detected issues with one click! Privacy Protect offers you ultimate online privacy protection by completely cleaning up the tracks of your computer activities. It helps you erase the cache, cookies, history, typed URLs, autocomplete memory from your browsers, and Window’s temp folder, run history, search history, recent documents, network password, etc. In addition, Amigabit Protect Privacy will provide you with a “Show details” feature to display all detected results. You can also export the detected results to another location if you require. Utilities box offers a variety of tools to optimize, clean up, and fix the system problems. Computer control: Shutdown Scheduler, Process Manager, File Splitter, File Encryption, Unlocker. 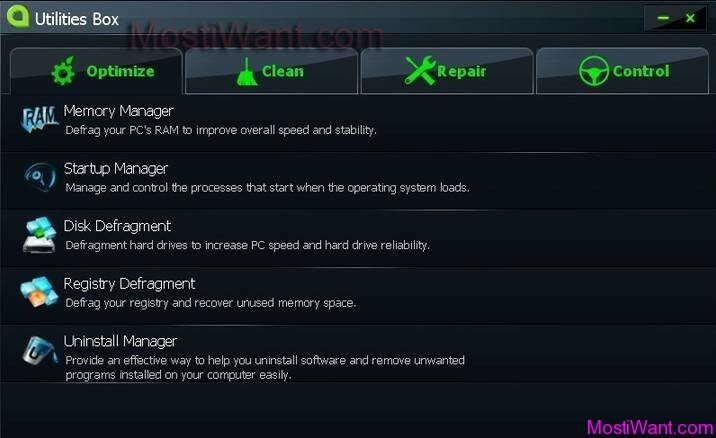 At last, Turbo Boost can help you speed up PC by shutting down unnecessary background processes and services. I’ve tried to install the software my computer and the results can not be operated normally. Thanks for sharing your EXPERIENCE with us. I’m really sorry to hear that this software has ruined your computer, and also Thanks for your suggestion. I’ve tried installing this software and the results can not dioprasikan my computer normally. thanks for the heads up Alex, and william, you guys should try the software out or only give away good promos. I am like Alex, I have had my computer to crash over stupid software that people want to give away. You need to change the title of this blog, to software that you don’t want or need. Enough of this. With the Alex’s experience, I’ll never and ever try to download and install this software. Better find other similar freewares. I’m still doubtful about this software, meanwhile Thank you William these great giveaways so far, Amen to that, Have a Blessed Easter! Hello Alex, I’m really sorry to hear that this software isn’t working well for you. I think that is exactly why we should always create a System Restore Point before trying out a new software or a tweak. Note: I have never used, or even heard of this software before. 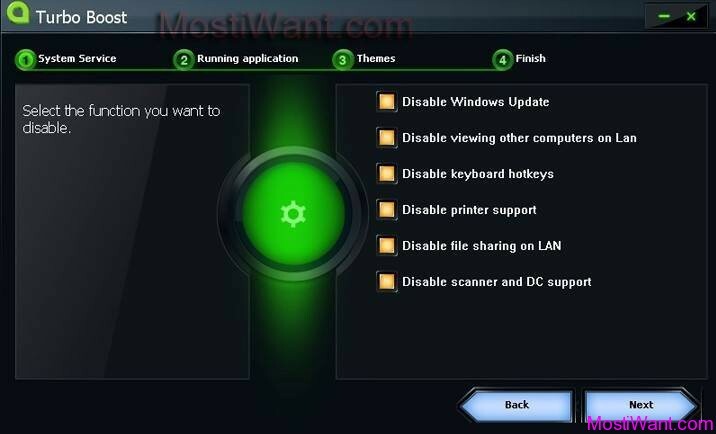 I strongly recommend that you create a System Restore Point before trying out it, since such kind of software will deal with the file system, the system registry and the running processes/services, and might harm your computer. I have updated the post to include your comment. Thanks! Wish you have an extraordinary and joyful Easter. May your life be full of blessings!